Young Scientist Outreach Program. Photo by Brianna Gregg. The ASCB Committee for Postdocs and Students (COMPASS) is a group of trainees dedicated to promoting the voice and visibility of early career scientists, including through science outreach. 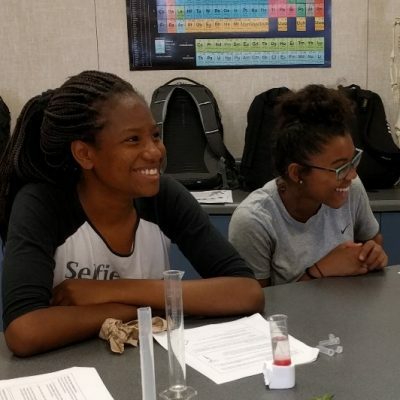 Such outreach not only allows us to showcase to the public how government funds are spent toward scientific progress, but also enables us to inspire the next generation of scientists. To this end, COMPASS holds a grant competition to fund ASCB members engaged in outreach activities within their local communities. Preference is given to grant projects in underserved communities. See highlights below of recently funded projects. Do you have an idea for an outreach activity within your local community? The next grant deadline is September 1! Sharon STEM Talks – Based in Sharon, MA, this program uses a Science Café–style approach to bring members of the public together with scientists to facilitate science discussion. The monthly seminars, presented by a diverse set of local scientists, are held at a public library. 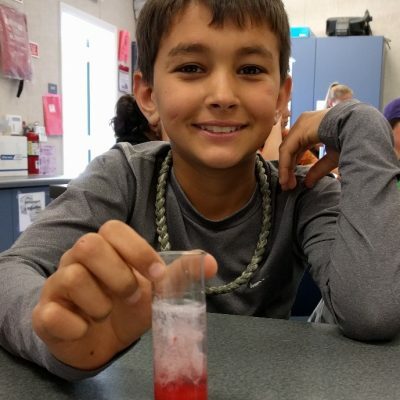 This type of outreach gives scientists a chance to practice communicating in lay terms while allowing the public, specifically younger generations, to engage with the local science community. Community Partnership in Lyme Disease Prevention – Amy Prunuske organizes outreach events with middle and high school science students to collect field data on tick species and pathogens. 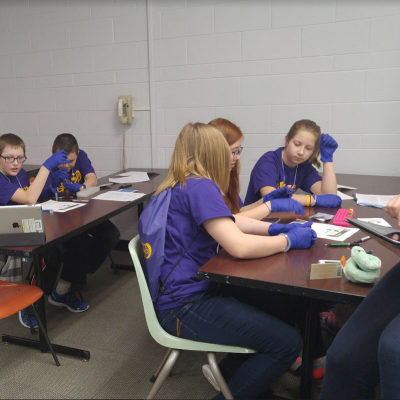 Students learn about zoonotic diseases and participate in the data collection by using in-the-field genotyping assay technology. This citizen-driven science project promotes Lyme disease prevention and gets the public involved. GO:MCB & CaresBio – The University of Connecticut GO:MCB graduate student program has teamed up with a local biotechnology company, CaresBio, to engage 4th– to 12th-grade students in a science fair. For an afternoon, younger students and their families participate in a variety of events that cover basic science concepts. Meanwhile, over the course of a month older students work one-on-one with a graduate student mentor to develop and execute a science project. This partnership not only invests in a new generation of scientists, but also gives graduate students a chance to work on their mentoring skills. From Community Partnership in Lyme Disease Prevention Outreach. Institute for Imaging and Analytical Technologies at Mississippi State University. 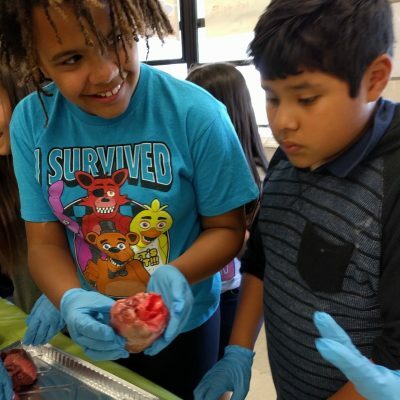 Using this hands-on experience as a gateway, this module aims to spark interest in science through the powerful tool of imaging and observation. Developing Future Biologists –Graduate students at the University of Michigan developed a short course on developmental biology for local undergraduate students whose curricula currently lack this training. This course travels from university to university, making it available to students without their needing to travel. This program aims to promote biomedical and developmental biology research as career pathways for underrepresented undergraduate students. students participating in a summer research program are paired with middle school summer campers. 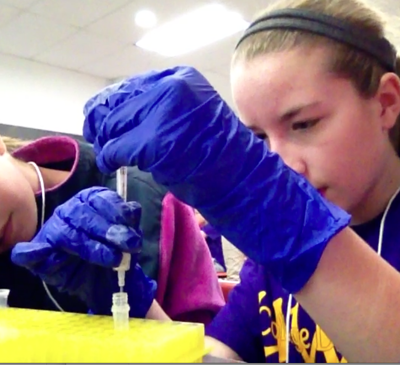 The undergraduates develop life science activities to complete with the middle school students over several weeks. These undergraduate-designed activities impart both an enthusiasm for science and an in-depth knowledge of basic science concepts. This also allows undergraduates to hone their teaching and communication skills.